The term, 21st Century Skills, has become one of the most referenced catch phrases in contemporary culture. The definition of those skills has been expanded and refined over time until it now amounts to nearly a full page of text on the official website the Partnership for 21st Century Skills. Although there may not be absolute consensus, most educators do agree that there is a set of critical skills and knowledge that today’s students will require in order to succeed in the world they will enter as adults. They must be able to think critically and creatively. They must have organizational skills. They must be able to work well with others. They will need to be self-confident, self-motivated, and self-disciplined. They will be required to understand and use Mathematics, Science and Technology. They will need to be highly effective communicators. They will need to understand and appreciate cultural diversity. In order to meet these needs, schools and school districts have rushed to implement a plethora of highly structured and very expensive programs in every curriculum area. States and districts have created detailed pacing guides that dictate scope and sequence for every subject. In addition to State and Federal testing, district and local standardized assessments are common practice even in the primary grades. Yet, in spite of the huge investments of time and money, few students can demonstrate mastery of the skills that have been identified as critical to their success. There are manifold reasons for the efficacy of arts integration. The engagement factor is perhaps the most easily understood. Study after study has shown that sitting and listening to a lecture is perhaps the least effective learning strategy of all, while participating in an activity is the most effective. The arts provide a wide variety of engaging activities that provide a context for understanding. Dance demonstrates a comparison of solutions and mixtures, or the inner workings of a cell. Drama illustrates history. Music models how sound waves work. Simply reading or hearing facts cannot compete as a learning experience. Arts Integration employs strategies that are compatible with current scientific knowledge of the human brain and how it functions. Howard Gardner proposed his Theory of Multiple Intelligences decades ago and contemporary brain research confirms his hypotheses. We know now that different regions of the brain manage different functions and that each individual has a whole series of intelligences that are both innate and experiential. We also know that our intelligences are not static, but fluid and capable of growth throughout our lives. We know that some people learn more easily through the spoken or written word, while others can more easily comprehend visual or kinesthetic information. The arts provide an arena where the seven intelligences—the visual/spatial, the kinesthetic, the musical/rhythmic, the interpersonal and intrapersonal, the natural, the mathematical/logical and the verbal linguistic– are all recognized and addressed. From the third grader who creates and performs a dance to demonstrate the water cycle, to the high school senior who builds an abstract sculpture of geometric forms, students who have an opportunity to learn through arts integration are able to explore the subject through all their intelligences in ways that have personal meaning for them. The result is deeper understanding and greater ability to apply their knowledge to other situations. The arts process skills provide a strong platform for learning across the curriculum. They are strongly connected to process skills in Science, to problem solving skills in mathematics, and to communication and information skills in Language Arts. All these skill sets are about more than merely acquiring information. They are about processing that information in order to be able to understand and apply it. Observing, recording and organizing information, collaborating, planning, practicing, revising, making predictions, experimenting, and communicating are among the arts process skills, but these are equally critical skills for every curriculum area. Arts integration offers students myriad opportunities to practice these skills in the context of an experience that is meaningful to them. Arts integration is not a new teaching strategy. Nearly every teacher employs at least a smattering of arts integration. Students illustrate stories and poems. They act in skits about famous historical events. They sing patriotic songs and draw portraits of famous people. However, unless the students receive meaningful instruction in the arts, they probably miss an important part of the experience. Making art, whether it is visual art, music, drama or dance, is a process of making informed choices. Students who do not receive instruction in the arts may not be aware of the kinds of decisions they can make and thus may not be able to express themselves or communicate their ideas as they intend. Just as students require instruction in understanding and using words, they need the opportunity to learn the language and the elements and principles of the arts. Then and only then can they really bring their visual/spatial, musical/rhythmic, kinesthetic, intrapersonal and interpersonal intelligences to bear on the topic at hand. 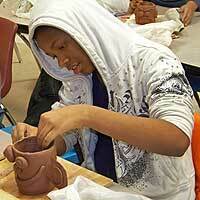 Thoughtful arts integration offers students an authentic context for 21st century learning. It gives them the opportunity to explore the important concepts and to acquire and practice the critical skills they need to succeed in the world they will inherit. If we take the performance of a play as an example, the connections to the critical skills listed above are clear. All members of a drama production are required to plan together and to make critical and creative decisions about each part of the production. Any kind of group effort requires organizational skills, and the conventions of theatre teach students to accept responsibility for their share of the organization; from meeting schedules to organizing props and costumes. They must learn the necessary social skills to get along with other cast members. They must have the confidence to participate and have the motivation to stay engaged in their tasks without undue oversight.. The technical aspects of theater—scenery, costume, lighting, sound and special effects require a command of multiple technologies. Actors, directors, technical crew are required to communicate effectively if the production is to succeed. Audience awareness is a central component of drama and that awareness includes the cultural diversity of an audience and how they will perceive the plan from their cultural perspective. No matter what art form is integrated, there are strong connections to the skills for 21st century learning. 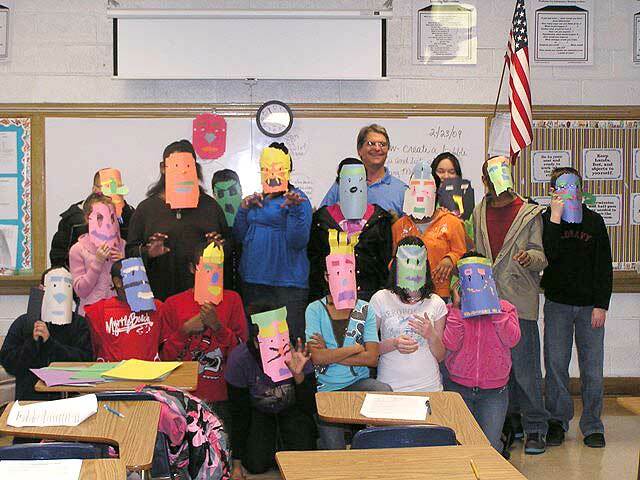 Each art form offers its own unique context where students can learn to acquire and process information and apply that learning in their own life.